Kyle Novakowski (PhD candidate) receives OGS scholarship! Congratulations to Kyle Novakowski for receiving an OGS scholarship for his PhD research on macrophage phagocytic receptors. Way to go Kyle! 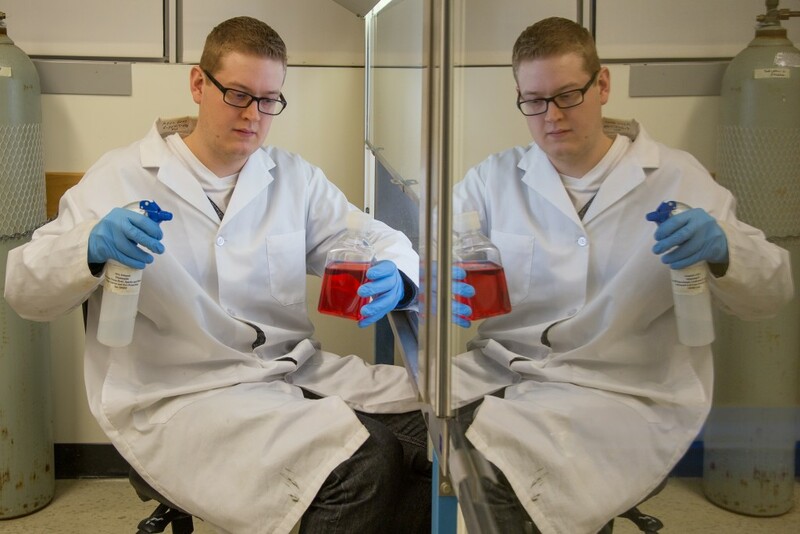 Kyle, getting twice as much work done in the tissue culture hood. This entry was posted in News and tagged award, graduate students, macrophage, phagocytosis, PhD, scholarship, success! by Dr. Dawn M. E. Bowdish. Bookmark the permalink.